Andover 60-inch W 6-Drawer 1-Door Vanity in White With Marble Top in Beige Tan With Mirror Designed with a classic style and strong build, this vanity is a perfect choice for any bathroom. With a beige tan marble counter and white solid wood base, this piece is very stylish. With drawers and single-door cabinet, this vanity set is also great to keep items in. Put together your perfect bathroom with this stylish vanity set from Wyndham Collection. 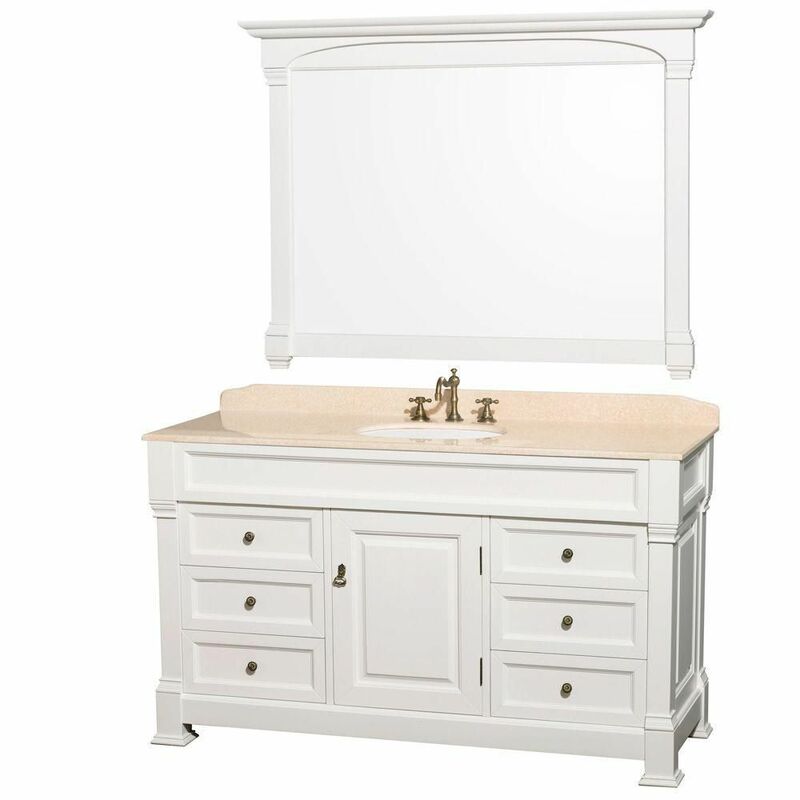 Andover 60-inch W 6-Drawer 1-Door Vanity in White With Marble Top in Beige Tan With Mirror is rated 3.0 out of 5 by 1. Rated 3 out of 5 by Tank from Just installed this Wyndham Collection Vanity in our master bath. We love the style and looks an... Just installed this Wyndham Collection Vanity in our master bath. We love the style and looks and the mirror is very nice. the only reason I would not recommend this vanity is because the drawer guides were uneven and I had to make adjustments to get the right spacing (one of the drawers was rubbing on the one below it). The drawers are very difficult to remove and the runners are not spaced accurately, also the screws used on the runners were too small and a couple of them fell out and the guides fell off the drawer. For this price I am disappointed the company didn't used better hardware on the drawers and I am concerned about functional issues down the road.